Cyprus scientists harness Swiss supercomputer to decipher the spin of the nucleon. Theoretical models originally assumed that the spin of the nucleon came only from its constituent quarks. 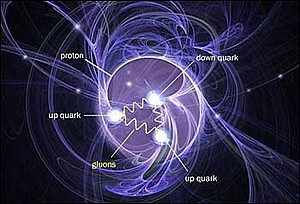 But then in 1987, high-energy physics experiments conducted by the European Muon Collaboration precipitated what came to be known as the 'proton spin crisis': experiments performed at European Organization for Nuclear Research (CERN), Deutsches Elektronen-Synchrotron (DESY) and Stanford Linear Accelerator Center (SLAC) showed that quarks contribute only 30 percent of the proton spin. The strong force acting here, which is transmitted by the gluons, is one of the four fundamental forces of physics. 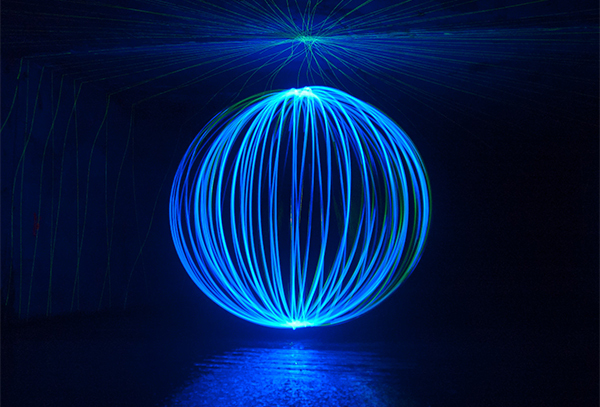 The strong force is indeed strong enough to prevent the removal of a quark from a proton. This property, known as confinement, results in huge binding energy that ultimately holds together the nucleon constituents. And that is exactly what Alexandrou and her team have achieved in their recently published research. 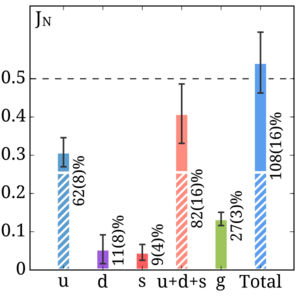 Their simulations also took into account the valence quarks (constituent quarks), sea quarks, and gluons. The researchers used the lattice theory of quantum chromodynamics (lattice QCD) to calculate this sea of particles and their QCD interactions. Read the original article on the Swiss National Supercomputing Center site here.